Come out for Happy Hour at the Dead Armadillo Brewery outdoor tap room! Click here and get your tickets on EventBrite today! 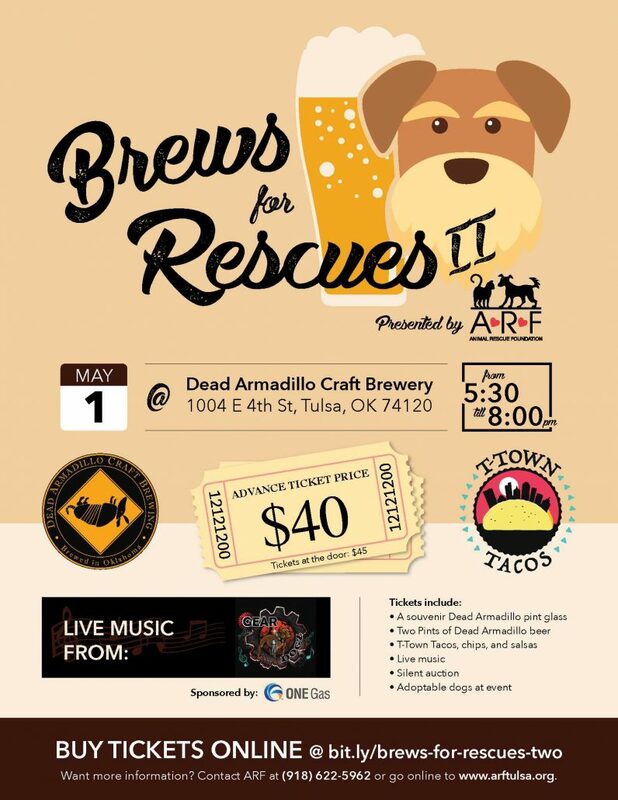 https://www.arftulsa.org/wp-content/uploads/2019/03/ARF-Brews2019-2-e1553545052481.jpg 540 836 Arf Tulsa https://www.arftulsa.org/wp-content/uploads/2018/05/ARF-logo.jpg Arf Tulsa2019-03-25 20:15:422019-03-25 20:23:21Brews for Rescues 2019!